This Monday, October 17, I watched some dramatic live coverage from Mandan, North Dakota on Democracy Now’s website. It is now available for viewing by anybody with online access. The coverage showed the celebration of the official dismissal of the trumped up legal charges against Democracy Now’s Amy Goodman for 1) criminal trespassing and 2) incitement to riot that followed her investigative journalistic efforts earlier this fall as she and the Democracy Now crew were reporting on the efforts of nonviolent indigenous “water protectors” who are trying to protect their sacred water from corporate usurpers. North Dakota’s response to the nonviolent action of unarmed people was embarrassingly uber-militaristic. The state mounted a Gestapo-like defense in support of a giant multinational corporation that thinks it has a right to do whatever it wants to do with the planet’s dwindling and increasingly polluted natural resources. The corporation involved this time is called Energy Transfer Partners, and it is threatening the drinkable Missouri River water with its multi-billion dollar Dakota Access Pipeline (DAPL, aka, the “Black Snake” that is mentioned further below). 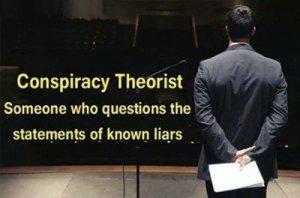 Energy Transfer Partners (ETP) and their wealthy/greedy investors are in cahoots with equally greedy, gigantic, amoral mining corporations, oil corporations and investment banks, all of which are quite willing to exploit and even permanently poison public land, public water, public air and, by extension, the people who depend on the purity of those resources – all for the love of the almighty dollar. 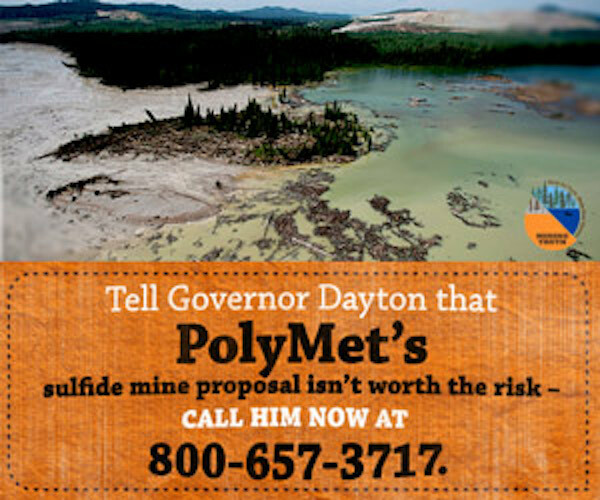 You’ve objected to PolyMet’s mine plan with regulators, now call Minnesota Governor Mark Dayton and tell him that PolyMet’s proposed sulfide mine would do more harm than good. Governor Dayton says he will make the final decision on whether to grant PolyMet a permit, and that it will be the most momentous and difficult decision he’ll make as Governor. We agree. That’s why it’s so important that you call and tell him how you feel about PolyMet’s sulfide mine proposal. Call him right now at 800-657-3717 FREE. You can leave a message 24 hours a day. My name is ____________ and I live in (city). I’m calling because I’m concerned about the impact that PolyMet’s proposed sulfide mine would have on Minnesota’s water. I think PolyMet would do more harm than good. Pollution from PolyMet threatens our clean water quality legacy and would pollute water for hundreds of years after the mine has closed. I think that’s a bad deal for Minnesotans. Thank you Governor Dayton for taking responsibility for making this decision – please put Minnesota’s water first when deciding on PolyMet. The phone number is 800-657-3717 FREE. When you’re done, would you share this with your friends and family on social media? Use the share buttons below to get the momentum going. By speaking up, we’ll protect Minnesota’s clean water from PolyMet’s pollution. Thanks again for taking action!